Horrid or harmless: Should parents specify their kids' birthday party gifts? WATCH Horrid or harmless: Should parents specify their kids' birthday party gifts? 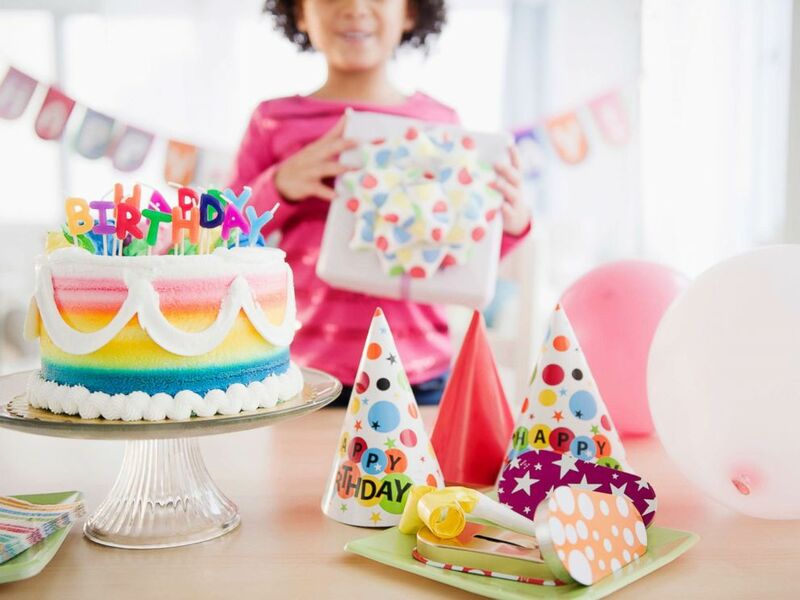 In an age of online gift registries and crowdfunding popularity, "Good Morning America" asked followers on our We Are GMA Facebook page if it's ever OK for parents to request gift cards or create registries for their kids when hosting a birthday party. One parent, who is a mother of 5, said she wishes more parents would consider giving gift cards to her children. "[A] gift card allows the kids to pick out their own stuff and also shows them money sense," she wrote. "They know how much they have to spend and they can spend up to that amount, or use their money and add to it if what they want costs more. Gift cards are a godsend if u [sic] ask me." Another follower didn't view the practice as problematic. "I think it’s fine," she wrote. "You could also direct guests to a registry, and have every price range available." Some people thought the idea was bad form, however. "A child should learn that any gift is OK," one person commented. "It’s the thought that counts. Too many spoiled entitled kids today." "Good Morning America" asked followers on our "We Are GMA" Facebook page what they thought about parents requesting gift cards and creating gift registries for their kids' birthday parties. Another chimed in: "I don't think gifts of any kind are essential for a birthday party." Elaine Swann, a lifestyle and etiquette expert, said such a request could be considered selfish. "The bringing of gifts is a gesture of goodwill and when we start to set standards and ask for gifts in this particular instance, I think it's setting the wrong precedence in terms of entitlement," said Swann, who is also the founder of the Swann School of Protocol in California. "Initially, the reason why we have birthday parties is to celebrate the new year for the child, the birth of the child." As Swann points out, gift registries have been a common method to shop gifts for showers and weddings with the purpose of getting couples started in their new lives together. Target offers kids' wish list for holidays, birthdays or other special occasions. The soon-to-be closed Toys ‘R’ Us allowed shoppers to create wish list accounts with the option to request gift cards. 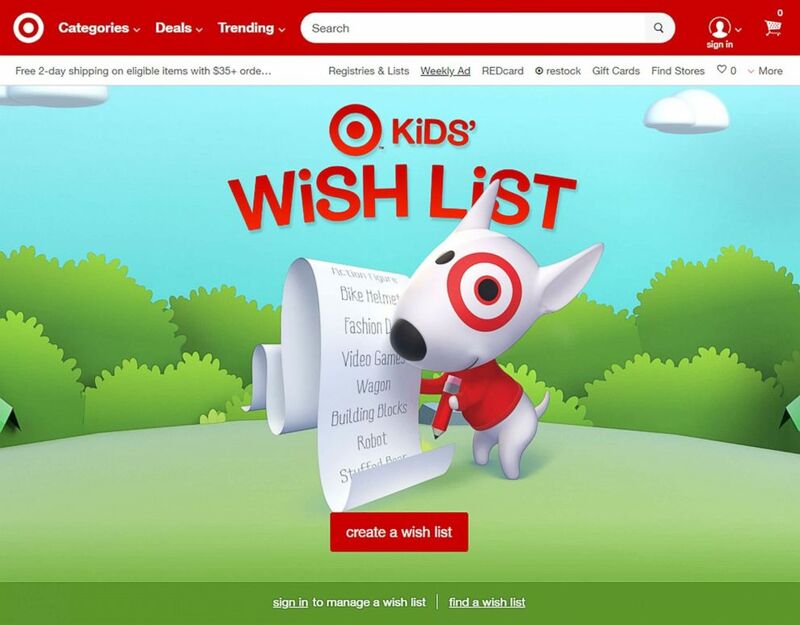 Target and Amazon also use wish list programs, although Amazon said that its feature is not geared toward children. Giftster is another site that offers a birthday registry where users could add links from outside vendors. 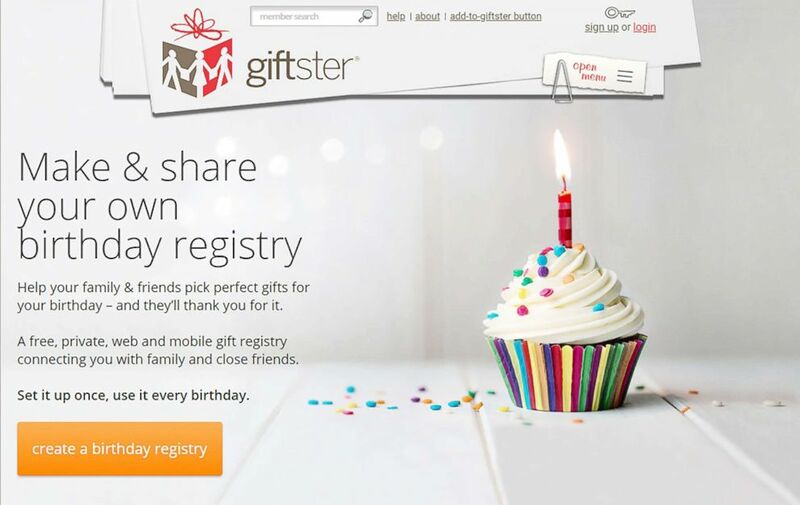 Gifster allows users to create birthday gift registries. "Gift giving at any event, whether it be a child's birthday party or a shower, it's welcome and appreciated but most certainly not required," she added. In lieu of birthday presents for her two children, mom Katrina Hennigan of New York asked guests to donate to their charity of choice. "We have so many toys, not a large space and a big family that gives us more gifts than we can use," Hennigan told "GMA." "The other thing is, I wanted to focus more on fundraising, donating and giving with the kids. They get a lot of gifts and that's not what we're celebrating." In January, Hennigan hosted a birthday part for her 5-year-old son. Guests who made charitable donations informed Hennigan and her family by including the information in birthday cards. If gifts were brought anyway, they were donated to Ronald McDonald House, she said. A girl holds a gift at birthday party in this undated stock photo. For her daughter's 9th birthday this weekend, Hennigan said she is asking guests for charitable donations once again. Swann said that replacing presents with donations teaches your kids to be compassionate toward others. Here are more etiquette tips from Swann for hosting your child's birthday party. Gifts could be welcomed, but should not be expected. Moms and dads should focus on sharing the moment and serving as host, rather than "being bent on receiving." 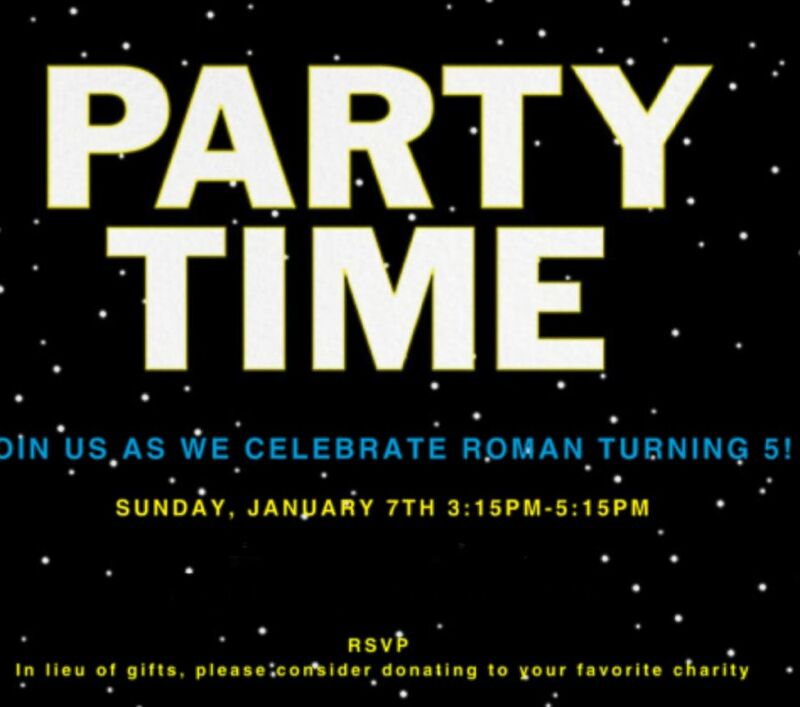 Swann also says it's OK for parents to share their child's interests if guests (who are shopping for gifts) ask them what they're into--but avoid including this information on the party invitation. Do not send invitations with your child to school. Unless your son or daughter is inviting the entire class, avoid having him or her passing out invites in class. Swann suggests sending them directly to their families' homes and let them know if it's acceptable to bring siblings. Be gracious and teach your child to do the same. Have your child send notes, or draw a picture to show gratitude for any gifts they receive or any donations made in their honor. "Practice with your child in advance," Swann said. "Once they accept [a gift], teach your child to look at the person and say thank you as opposed to tearing through gift after gift." +Millenni-mama drama: Is Gen Y postponing parenthood for its own good?